SBK are delighted to support Kineton Secondary School pupil, Tyler Furniss, who is raising funds to enable him to travel to Peru and help build a school for children living in poverty. The trip is organised by Camps International and Tyler, who is in Year 10, will be working hard to help build the school and provide local children with a better chance of an education. The trip will give him a rare and life-changing opportunity to experience the life and culture of a country where many communities are living under the national poverty line on just 60p per day, and to understand how the many things we take for granted in our lives are not available to everyone. Tyler wrote to SBK requesting help to reach his target of £4,500 to fund the cost of the trip, his vaccinations and a contribution to help the poor communities in Peru who face significant challenges such as access to clean water and adequate housing. 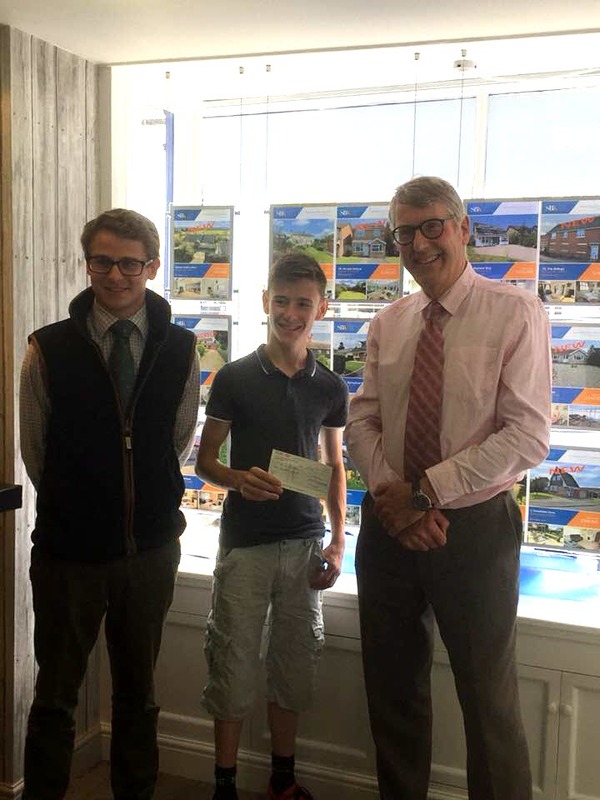 We were impressed with Tyler’s commitment and enthusiasm, and Philip Jones and Sam White were very pleased to welcome Tyler to our Shipston office and present him with a cheque. SBK would encourage other local businesses in Shipston and South Warwickshire to support Tyler in this admirable project.